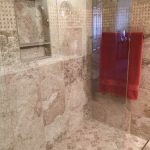 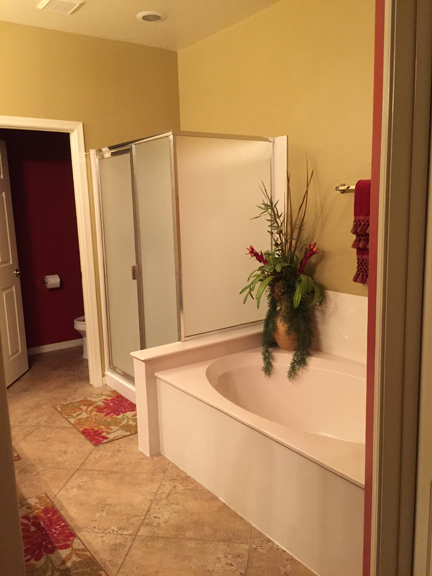 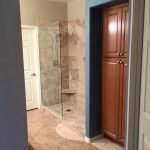 We removed the bathtub and replaced it with a modern walk-in shower with glass door, as well as adding a new linen cabinet for additional storage options. 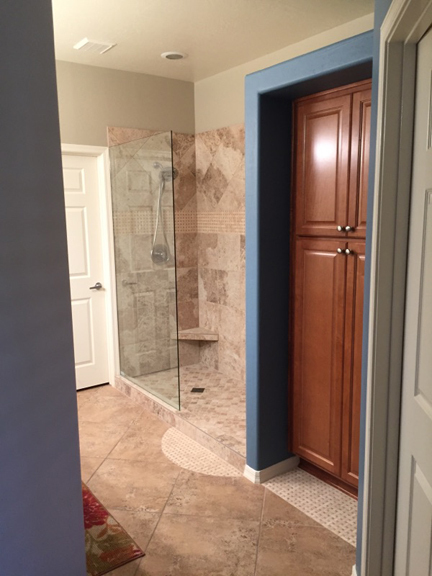 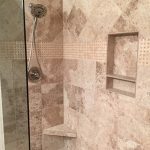 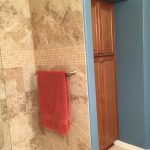 The new walk-in shower was built with coordinating stone tiles and updated shower fixtures. 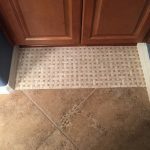 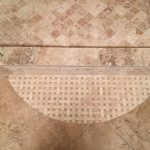 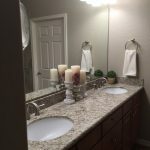 We updated the rest of the bathroom with a stone countertop and added stone flooring to tie into their existing flooring. 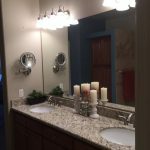 We also updated the lighting fixtures and gave the bathroom a coat of fresh paint.